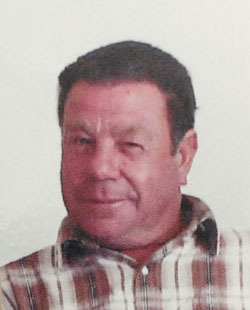 Obituary for Tristan da Cunha islander Timothy Green, who passed away 25th January 2019, aged 70. We regret to announce the sudden death of Timothy Edward Green on the 25 January 2019 age 70. Tim was the eldest son of Douglas and Frances Green and was born on the 13 May 1948. At the age of 14, Tim was evacuated with his family to the UK after the volcano erupted in 1961, and went to school at Hardley, Southampton. After leaving school, he worked at the Beaulieu Motor Museum as a valet and would often walk Lord Montague's dogs. Tim returned to Tristan with his family in 1963 and went to work in the Public Works Department as a Crane Operator. He played a major role in lifting the harbour boats to safety in some of our worst storms. Tim was also an accomplished fisherman, and with his partner Ken Green they would often have one of the largest catches on a fishing day. He then worked for the Agriculture Department until he retired. Tim loved taking trips up the mountain side and on many occasions took family, friends and visitors to the Peak and the Ponds. He also enjoyed his trips to Nightingale and was a fine coxswain for the longboat Raffee. All will remember him as a kind and generous man with a good sense of humour who loved his music. He will be very sadly missed by his family and friends. Tim is survived by his sons Matthew and Dion, and his sister Sue. The family would like to thank all those who sent messages of condolence.